Gate Guide Rollers - Order Online! 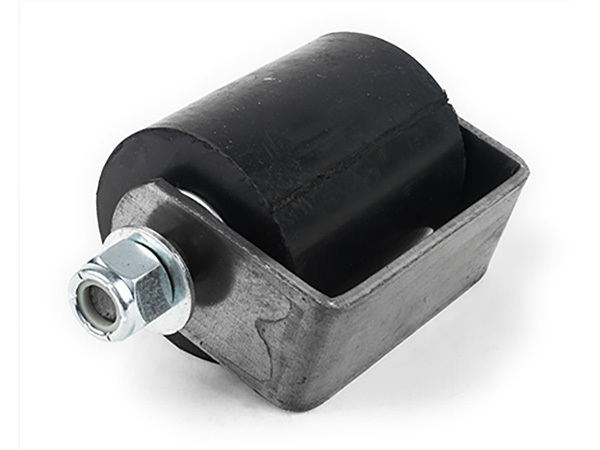 | Steel Supply L.P.
We offer both Rubber Guide Rollers and Overhead Guide Wheels. Rubber rollers are attached vertically to the top of posts on each side of a rolling gate to help stabilize it from tipping over. They are sold individually but installed in pairs. They can be bolted but are more typically welded to the post. Overhead Guide Wheels are all metal with ball bearings and typically run inside a piece of square tubing that has a slot cut in it. They have a threaded rod which hangs down and attaches to the gate or door.